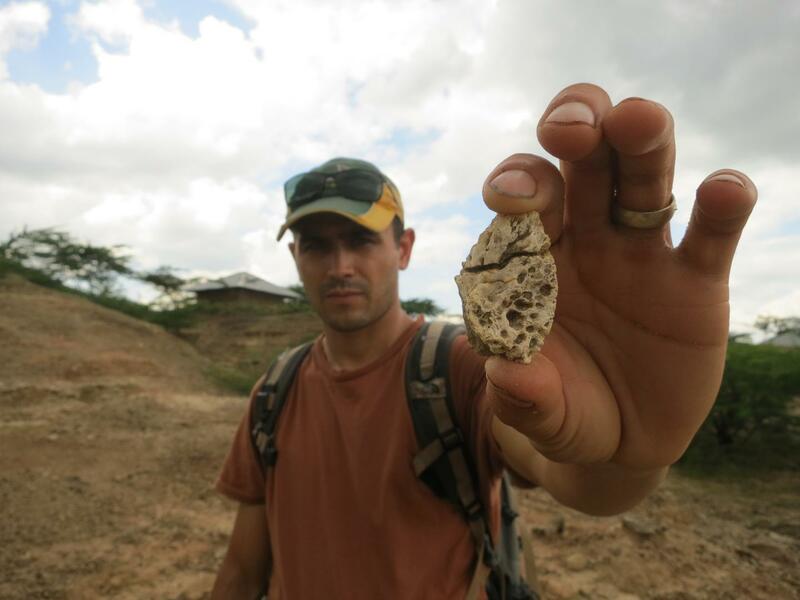 An international collaboration, including the Natural History Museum of Utah at the University of Utah, have discovered that early humans in eastern Africa had–by about 320,000 years ago–begun trading with distant groups, using color pigments and manufacturing more sophisticated tools than those of the Early Stone Age. These newly discovered activities approximately date to the oldest known fossil record of Homo sapiens and occur tens of thousands of years earlier than previous evidence from eastern Africa. These behaviors, which are characteristic of humans who lived during the Middle Stone Age, replaced technologies and ways of life that had been in place for hundreds of thousands of years. To better understand how climactic instability might have influenced the ecosystems in which the early humans at Olorgesailie lived, the research team integrated data from a variety of sources to assess and reconstruct the ancient environment. Faith and collaborators analyzed large mammal fossils from the archaeological sites. The bones told a story of massive turnover in the region–most species previously common in the Olorgesailie Basin had disappeared, and were replaced by others previously unknown in the basin. Some of the new ones are familiar species found in eastern Africa today, though others–including a massive zebra–are now extinct. The team also saw evidence of dramatic range shifts, with some animals–such as the springbok, an antelope known today only from southern Africa–appearing in the basin. The faunal evidence, together with additional geological and paleoenvironmental indicators from Olorgesailie, show that the new adaptive behaviors that define earliest Homo sapiens were associated with large-scale changes in climates, faunas, and landscapes. The first evidence of human life in the Olorgesailie Basin comes from about 1.2 million years ago. For hundreds of the thousands of years, people living there made and used large stone-cutting tools called handaxes. Beginning in 2002, the Human Origins Program team discovered a variety of smaller, more carefully shaped tools in the basin. Isotopic dating by Deino and collaborators revealed that the tools were surprisingly old–made between 320,000and 305,000 years ago. These tools were carefully crafted and more specialized than the large, all-purpose handaxes. While the handaxes of the earlier era were manufactured using local stones, the Smithsonian team found small stone points made of non-local obsidian at their Middle Stone Age sites. The team also found larger, unshaped pieces of the sharp-edged volcanic stone at Olorgesailie, which has no obsidian source of its own. The diverse chemical composition of the artifacts matches that of a wide range of obsidian sources in multiple directions 15 to 55 miles away, suggesting exchange networks were in place to move the valuable stone across the ancient landscape. The team also discovered black and red rocks–manganese and ocher–at the sites, along with evidence that the rocks had been processed for use as coloring material. "We don't know what the coloring was used on, but coloring is often taken by archeologists as the root of complex symbolic communication," Potts said. "Just as color is used today in clothing or flags to express identity, these pigments may have helped people communicate membership in alliances and maintain ties with distant groups."